My Netflix subscription this year was a good investment if I had only watched one series: The Crown. Although I have viewed several of the streaming service’s original series, this is the best so far. 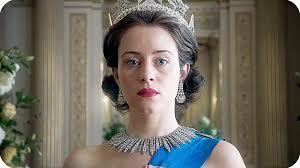 The series plans to depict the life of Queen Elizabeth II. The first season begins with her wedding in 1947 and goes through the first years of her reign up to 1955. Although this all happened within my lifetime, I would have to call it historical drama. Visually extravagant with meticulous attention to period costumes and furnishings, the series rarely makes a misstep. The series functions on two levels—family drama and politics. On one level, we have the soap opera of family relationships impacted by both royal privilege and responsibility. The other level is the political and historical realities of the period. For example, in “Gloriana” (episode 10), Prime minister Anthony Eden (Jeremy Northam) is dealing with a foreign policy crisis in Egypt while the Queen (Claire Foy) is more interested in dealing with her sister’s desire to marry a divorced man, Peter Townsend (Ben Miles). With a biopic of this type, there is certainly a great deal of speculation and recreated conversations since who knows what goes on behind closed doors? I am sure that there are some historical inaccuracies, but the drama is real and often rather subtle. Two episodes in particular challenged my thinking at a theological level. Those of us in the former American colonies tend to make light of the “divine right of kings,” but “Smoke and Mirrors” (episode 5) which deals with Elizabeth’s coronation, was especially moving for me. When the Archbishop of Canterbury anointed the Queen’s head, hands and breast (rather awkwardly), I was reminded that the British monarch is not only the secular sovereign but the defender of the faith, the head of the Church of England. He or she has assumed a holy order. The monarch’s vocation is a gift from God. What if each of us considered our vocation as a divine gift from God? 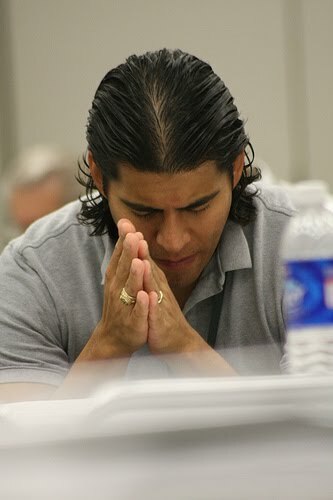 What difference would it make in our daily lives and the way we pursue our vocations? Another episode focuses on Winston Churchill (John Lithgow). The Prime Minister is a central figure through most of the first season. In “Assassins” (episode 9), Churchill is to be honored on his 80th birthday with a portrait by Graham Sutherland (Stephen Dillane), a modernist artist strongly influenced by both nature and spirituality. Churchill’s hatred of the portrait is a historical fact. The episode infers that he ordered it burned, but some sources say that Lady Churchill (Harriet Walter) took the initiative to destroy the portrait. The conflict between the artist and the subject surfaces both unresolved grief and the inability to deal with one’s own mortality. Lithgow’s Churchill is both vulnerable and vindictive, and each of us can identify with the very human struggle of making sense of the death of loved ones and of our own impending deaths. This is a faith question. Rarely does an entertainment vehicle touch on such concerns. For the most part, the parts are well cast and choosing actors to play real persons, many of whom are still living, is not easy. 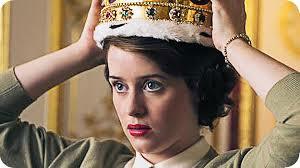 Elizabeth (Claire Foy) has the difficult task of living into the role of the English monarch—both human and symbol. Foy must be both ingénue and sovereign. She is excellent in this ambiguous role. 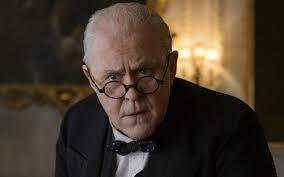 John Lithgow as Churchill is fabulous. Much has been written about Churchill, both honoring and critiquing the politician and wartime leader, but he is certainly one of the most pivotal figures of the 20th century. Lithgow captures the bulldog tenacity as well as the declining facilities of the man in his later years. In early episodes and in flashbacks, Jared Harris is wonderful as King George VI, the monarch with a stutter who had the office thrust upon him when his brother King Edward VII (Alex Jennings) abdicated the throne “for the women he loved.” Harris depicts George as a reluctant ruler with a sometimes crude streak who gives his all for family and country. Other performances are a bit uneven but this may have more to do with the script than the actors. There often seems to be a tendency to write caricatures rather than fully embodied people. Alex Jennings plays Edward, Duke of Windsor. Although he protests that he is fine with his decision to give up the throne for Wallis Simpson (Lia Williams), we are never sure he believes his choice was for the best. Matt Smith (who played one of the incarnations of Dr. Who) does not seem to have a firm grasp on his role as Prince Phillip. He comes across as sulky and juvenile, so it is hard to truly care about his character. Vanessa Kirby also has a difficult task in portraying Princess Margaret, the royal sister who wants to marry the divorced Peter Townsend (Ben Miles). Again, it is difficult to understand a person who seems to think only of herself and is depicted in the extremes of either pouting or partying. Miles, on other hand, shows us a man who is both passionate and patriotic, willing to make difficult choices in the public spotlight. The Crown is a morality play, one based on real people. Even if we are not royals, we face significant choices related to responsibility, relationships, and freedom. These are people just like us, only different. The bottom line is that The Crown is about people. 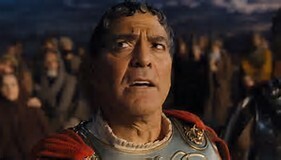 confused Roman Centurion in Hail Caesar! 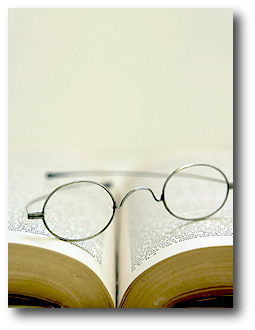 The writer of Ecclesiastes observed, “Of making many books there is no end, and much study wearies the body.” (12:12, NIV) I will not attempt to comment on the second half of this statement, but the first part is certainly true. We live in a time when the production of all types of media grows exponentially—books, journals, films, plays, blogs, and many things unimagined in the day of the Hebrew writer. How are we to deal with all this information? I find myself becoming more dependent on referrals from friends and reviews by people I trust. Some of these writers come from a faith perspective and others do not. As I read the work of reviewers who are Christ followers, two perspectives usually emerge. On one hand, there is the writer who hungrily seeks to find a word of witness in a film, a TV show, or a book. On the other hand, there are those writers who dig deeper to mine theological truth that might not be evident on the surface. These perspectives can be applied to visual art, literature, music, plays or films. For this posting, let’s think specifically about film. Conscientious reviewers who view movies with the eyes of faith tend to fall into the two categories I identified above. There are reviewers who look for overt or extrinsic messages of faith. For example, in the film Rogue One, the reviewer may see the faith of the blind monk Chirrut Imwe (Donnie Yen) in the Force and extrapolate this as an expression of the importance of faith in one’s life. Another reviewer might focus instead on the themes of unbridled power (expressed by the builders of the Death Star) or sacrifice (exemplified by the Rogue One crew) and unpack their deeper theological meaning. To complicate things, motion picture producers realize that faith sells tickets, so they often pitch movies to Christian leaders in hopes of expanding their audiences. “It’s about religion and is based loosely on the Bible, so church people ought to like it.” This is different from the clear use of film for evangelistic outreach, an approach pioneered by Billy Graham through his World Wide Pictures launched in 1950’s. These films were openly evangelistic and not subtle about their purpose. In recent years, producers of mass appeal films such as Mel Gibson’s The Passion of the Christ; Timur Bekmanbetov’s Ben Hur remake; or Ridley Scott’s Exodus: Gods and Kings court ministers and religious leaders to help with promotion of these films and grow the bottom line. Whether these films are faithful to the source material is not important, but getting seats filled is the priority. These are business rather than artistic decisions. When it comes to Christian film reviewers, I seek out those who go below the superficial level. These writers understand that all meaningful human concerns are basically theological. For example, the classic film Babette’s Feast is not just about a pietistic sect in a small Danish community; rather it is about how beauty and hospitality enrich one’s life. These are theological issues. For another, the recent film Arrival is not just about aliens but about acceptance, communication, and sacrifice. Most creative works—ancient, classical, or contemporary—express someone’s attempt to deal with issues of meaning and existence. We, as Christians, are invested in this enterprise. If we are to engage our culture, we must learn to exegete its artifacts on a deeper level and enter into dialogue with both the creators and consumers of art in all its forms. Although I say that I am not a theologian, my seminary professor friends persist in saying, “Every believer is a theologian.” From their perspective, whenever you ask a question that involves faith, your relationship to God, or God’s relationship to the world, you are doing theology. When my twelve-year-old granddaughter brings up the violence in the television miniseries “The Bible” and I ask her, “How do you handle that?,” I am asking a theological question. Why does God not only allow violence but, according to the Hebrew Bible, condone it? We ask theological questions all the time. First, we ask these questions in the midst of life. When we encounter pain, death, and violence, we try to make sense of it all and, as religious people, practice this sense-making in the context of our Christian commitment. Second, we often ask these questions when we experience personal relationships that confuse or hurt us. When trust is broken, commitment is betrayed, or love is lost, we try to make meaning by turning to our faith. Third, when we read novels, watch movies and TV shows, or attend plays, we often find ourselves confronted with questions of meaning and purpose that challenge our understanding of fundamental human needs, values, and aspirations. These are theological questions. For believers, all of life has theological significance. Whether we like it or not, by default we are all theologians. Enjoy the experience! What is your definition of “discipleship”? In general usage, a disciple is one who follows the example and teachings of another person. In the Christian context, a disciple is a follower of Jesus Christ, one who seeks to practice his teachings and make them a part of her or his life. Living out the teachings of Christ is generally called the act of discipleship. Several years ago, I joined my colleague Mark Tidsworth in training church leaders to use coaching principles to help others to grow as disciples. We called the process “Disciple Development Coaching.” Both Mark and I have a rather comprehensive view of what it means to be a disciple. Our concept (and I think the belief of many others) is that discipleship encompasses all of life—not simply our spiritual practices but the way we care for God’s gifts to us, act in our relationships with others, and pursue our vocational callings. In a recent conversation, someone challenged me that coaching a person to be healthier was not a “discipleship or spiritual concern.” Eating properly and getting adequate exercise was not “discipleship.” My friend’s idea of discipleship was much narrower than mine. He saw discipleship primarily in terms of one’s spiritual devotion and development, especially as it relates to the church. If I were to adopt such a view, my discipleship coaching would change in several key ways. First, I would only talk with some clients about activities that, at most, encompass one day of their week. Even if they are regular attenders of worship services, pray every day, and read the Bible daily, what my friend calls a “spiritual concerns” would take up very little of even the most conscientious person’s time. Second, topics like financial accountability, use of time, and being a responsible and productive worker would not be our agenda. In reality, when we coach a person in their development as disciples, all of these things and more are fair game. God has created each of us as whole human beings. When one enters a relationship with Christ, the entire person becomes (or is becoming) a disciple. So the way that I use my finances for personal and family needs is just as much a spiritual concern as whether I tithe and support Christian causes. If I give ten percent to Kingdom causes and squander the other ninety percent, what does this say about my Christian commitment? If I don’t take care of my body and fail to set proper limits on the use of my time and become ineffective or sick, how useful am I as a disciple? If I fail to exercise a Christ-like attitude in relationship with family and friends, what does this say about my comprehension and practice of the Christian faith? In every area of our lives, we are called to be disciples. A couple of weeks ago, my wife, our daughter, and I were returning from the memorial service for a friend in east Tennessee. Stephanie, our daughter, was providing our music from Pandora on her iPhone. A song came up that I had probably heard before, but the words suddenly got my attention. “A Strange Way to Save the World” is written from Joseph’s perspective and points out the incongruity of the birth of the Savior in Bethlehem. 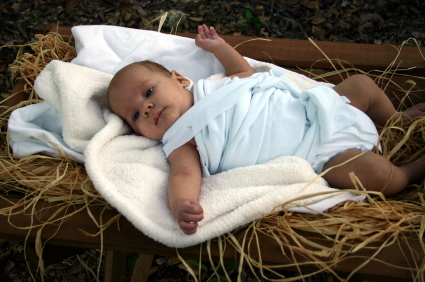 Joseph voices his wonder at the strange way that God has chosen to work. Imagine, God was placing the plan for the salvation of the world in the hands of a teenage girl and a village craftsman! The song reminds me that our God works in unusual and paradoxical ways more times than we imagine. So many of us are obsessed with planning and control that we rarely leave time and space for God to intervene in our lives. Is this because we do not really believe that God might break through the ordinary, mundane things of life? Are we so satisfied with the way that we are doing things that we don’t think that God can improve on our plans? As I reflect on my own spiritual walk, the challenge for me is to be more open to the intervention of the Spirit of God into my life. I am sure that there are many times that I have missed a blessing that God had for me because I was too organized, busy, or self-assured. I need to leave more space for the Spirit to step in and surprise me! As it was then, so should it be today. Is Your Church Asking the Right Questions? What Are We to Do with Joseph?